Post Construction Phase monitoring will commence next spring/summer in 2019 and will continue in 2020, 2022 and 2024. Jebbs Creek Wetland Embayment Creation Project will convert a small area of existing meadow habitat in the Rideau Valley Conservation Authority’s Perth Wildlife Reserve Conservation Area to a series of small riverine wetland embayment’s along the shoreline of Jebbs Creek within Tay Valley Township in Eastern Ontario. Jebbs Creek is a tributary in the Tay River watershed, which supports a warm/cool water fishery. 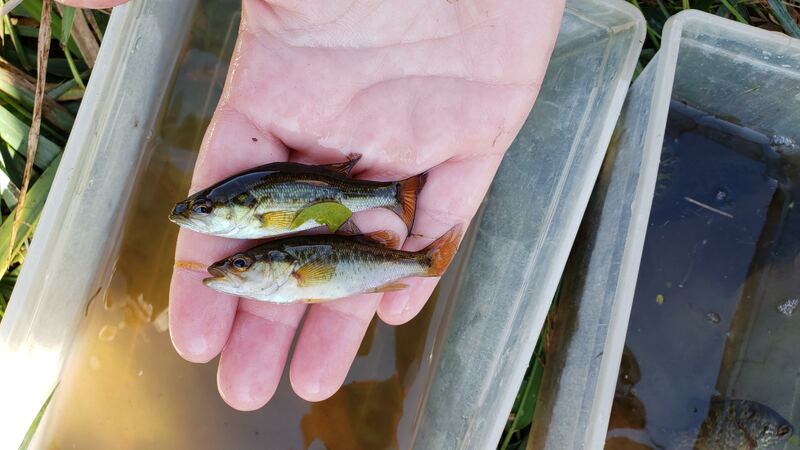 The purpose of the Jebbs Creek Wetland Embayment Creation Project is to create 1,600 m² of new spawning, nursery, rearing, and feeding habitat for the 20 species of fish that reside in Jebbs Creek. The key target fish species will include creating spawning and nursery habitat for northern pike (Esox lucius) to support the Jebbs Creek and Tay River watershed fisheries. The Kemptville District of the Ministry of Natural Resources and Forests manages the Tay River watershed for an extremely diverse fishery which includes northern pike (Esox Lucius), smallmouth bass (Micropterus dolomieu), largemouth bass (Micropterus salmoides) and walleye (Sander vitreus). Northern pike is a local sport fish, well known for its large size and predatory nature. Despite its reputation as a top predator, northern pike are particularly sensitive during spawning and are often subject to high egg mortality; therefore, it is crucial to ensure that suitable spawning habitat exists to support this species. 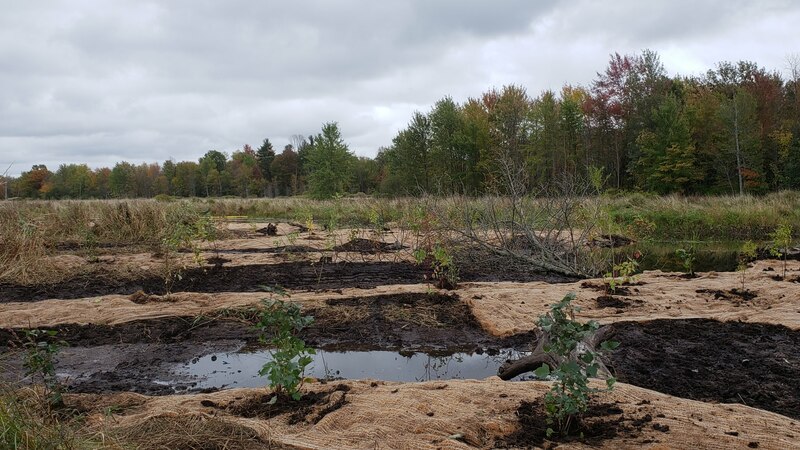 Through a multi-tier approach, it is our goal to create and maintain a suitable spawning and nursery site for northern pike along Jebbs Creek, while helping to improve shoreline stability, riparian habitat and water quality. 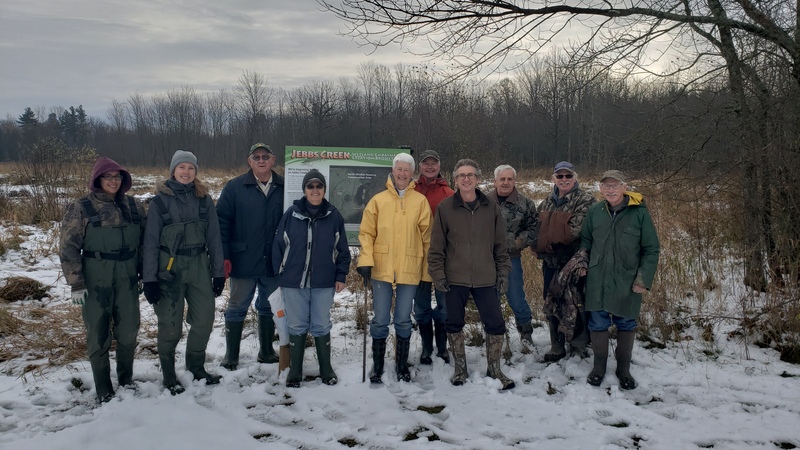 The feature will also provide a small riverine wetland embayment along Jebbs Creek which will provide important habitat for breeding birds, amphibians, turtles nesting habitat with a goal to increase overall biodiversity. Since the project is located at a Conservation Area there is a strong opportunity to engage the community and provide educational and enhanced recreational opportunities for residents and visitors to the area. Improve food supply for aquatic and terrestrial species through increasing overhanging vegetation along the shoreline. Create a quiet backwater area adjacent to the main current of Jebbs Creek. Provide winter and summer refuge areas for fish. 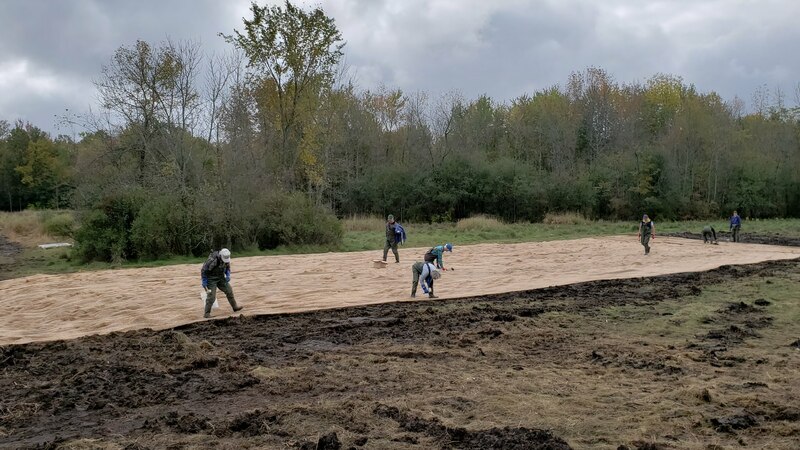 Engage and educate community members by involving volunteers in the process and providing a demonstration site that shows a variety of cost-effective methods to protect and enhance shorelines and wildlife habitats. Partnership opportunities with various groups and the Conservation Authority.